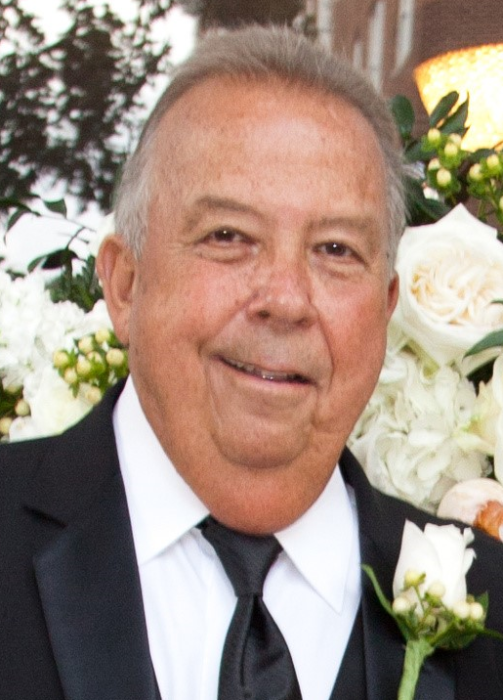 It is with heavy hearts that the family of James Boyd Cagle, of Hoover, Alabama, announces his passing on March 30, 2019, at the age of 73. Chubby was born in Hueytown, Alabama on January 15, 1946. He graduated Hueytown High School in 1964 and attended Jacksonville State University. He retired from U.S. Steel with 35 years of service. He was a member of Hunter Street Baptist Church. His greatest loves were his family, Gulf Shores beach house, salt water fishing, and Alabama football - Roll Tide! Chubby was preceded in death by his parents, Boyd and Iva Criss Cagle, sister, Shirley Cagle Early, and grandson, John Mark Travis. He is survived by his loving wife of 49 years, Wanda Herring Cagle and his two most prized accomplishments, his beloved daughters, Jennifer Travis Howard (David), and Jesslynn Cagle McDonald (Patrick). He is also survived by his beloved grandchildren, Benjamin Boyd Travis, Bentley James McDonald and Pippa Leigh McDonald. The family will receive friends at Currie-Jefferson Funeral Home, Highway 150, Hoover, Alabama on Tuesday, April 2, 2019 from 1:00 pm – 2:00 pm. Graveside service will follow at 2:00 pm at Jefferson Memorial Gardens, South. The family would like to thank MD Anderson Cancer Center/Sarcoma Center, Dr. Peter T. Pisters, Dr. Charles E. Butler, Dr. Shreyaskumar R. Patel, and Dr. Keila E. Torres of Houston, TX for their outstanding care over 11 years. We also wish to thank Birmingham physicians Dr. Noah J. Fitzpatrick, Dr. Philip J. Fischer, and Dr. Brian K. Adler. Also, special thanks to New Beacon Hospice. In lieu of flowers, the family requests contributions In Memory of James B. Cagle to MD Anderson Cancer Center/Sarcoma Center, P.O. Box 4486, Houston, TX 77210, www.mdanderson.org/gifts.